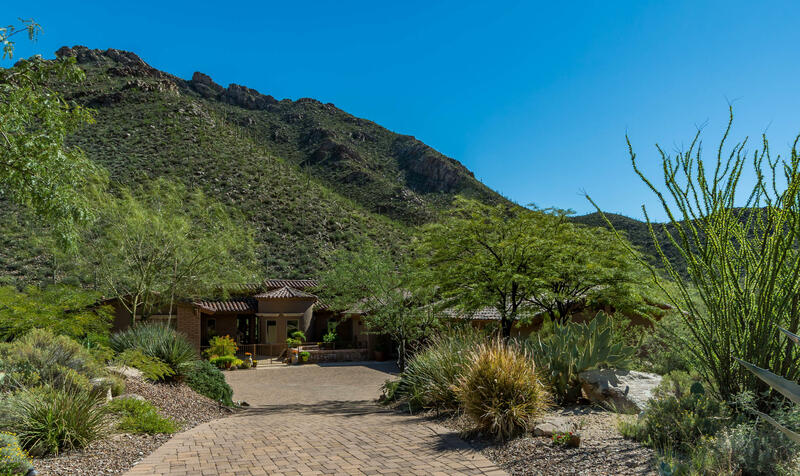 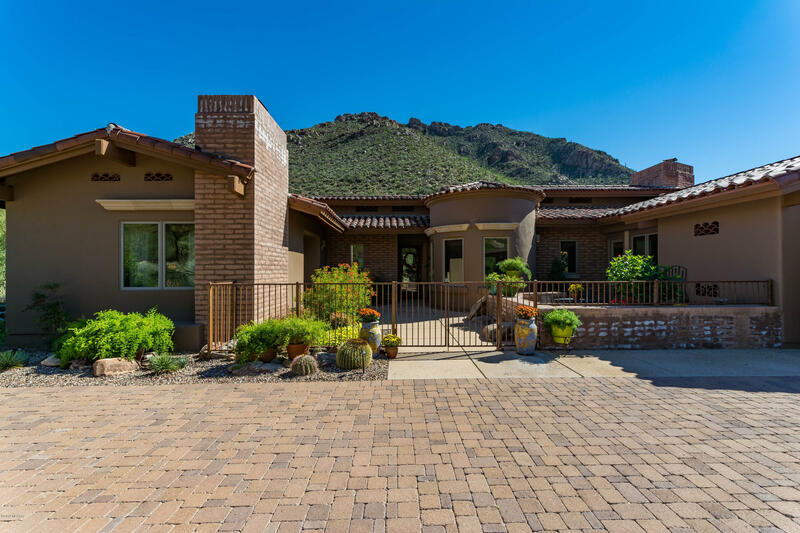 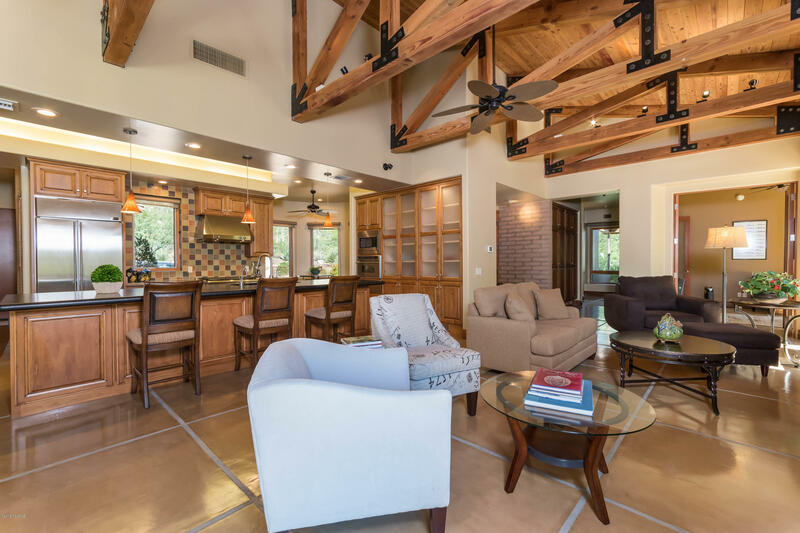 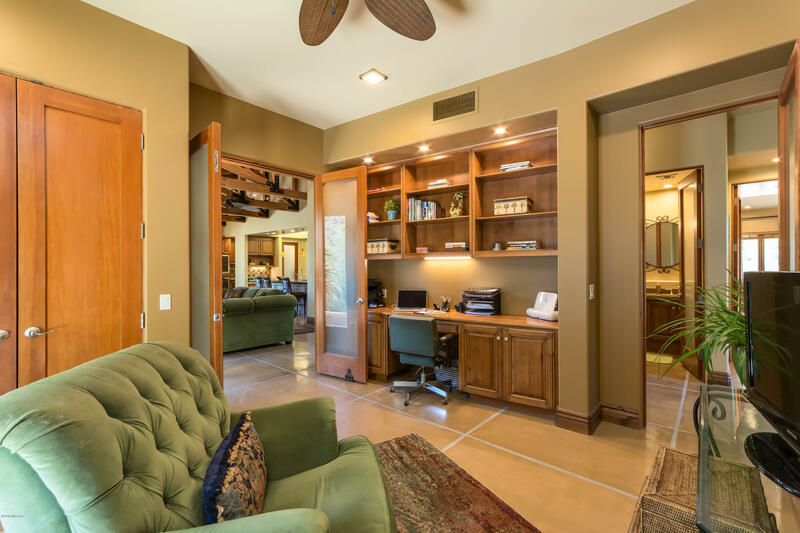 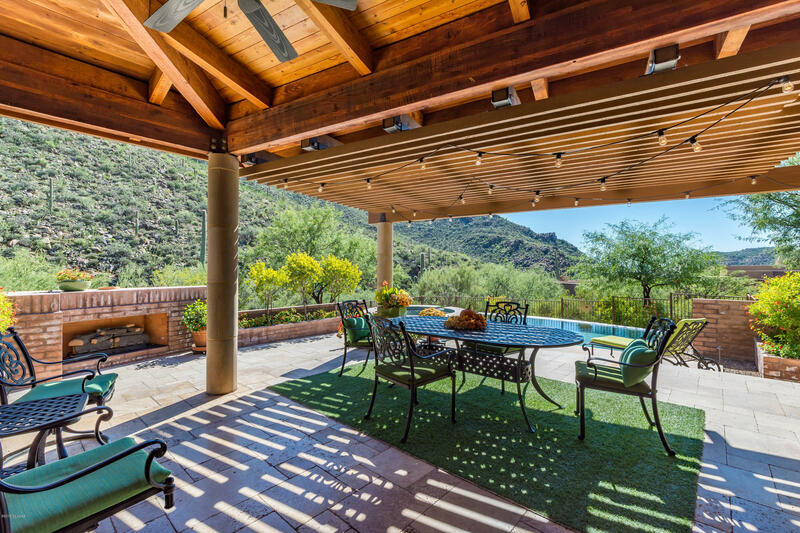 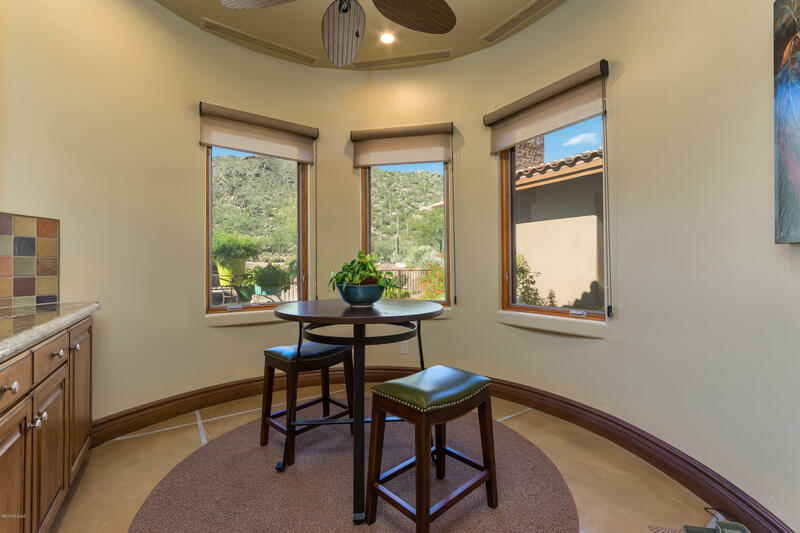 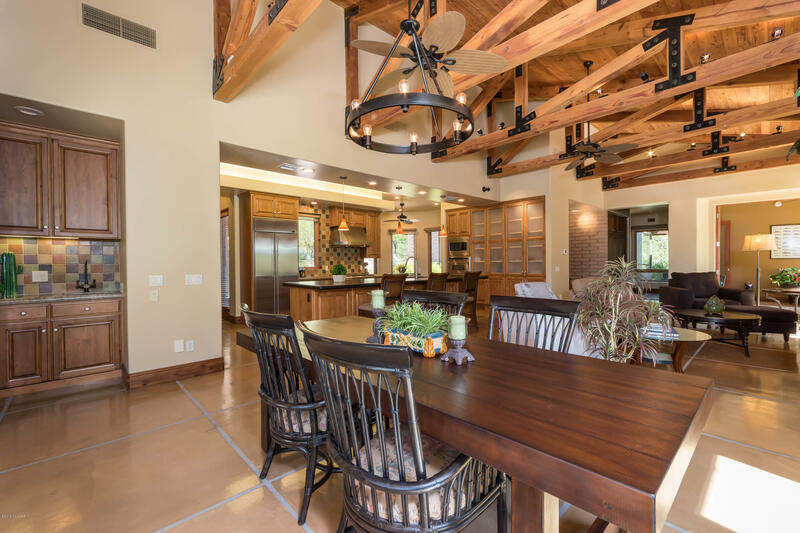 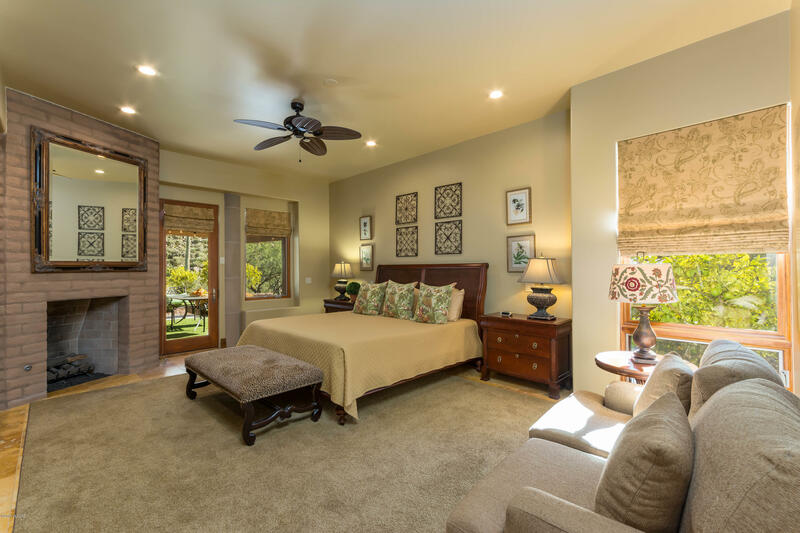 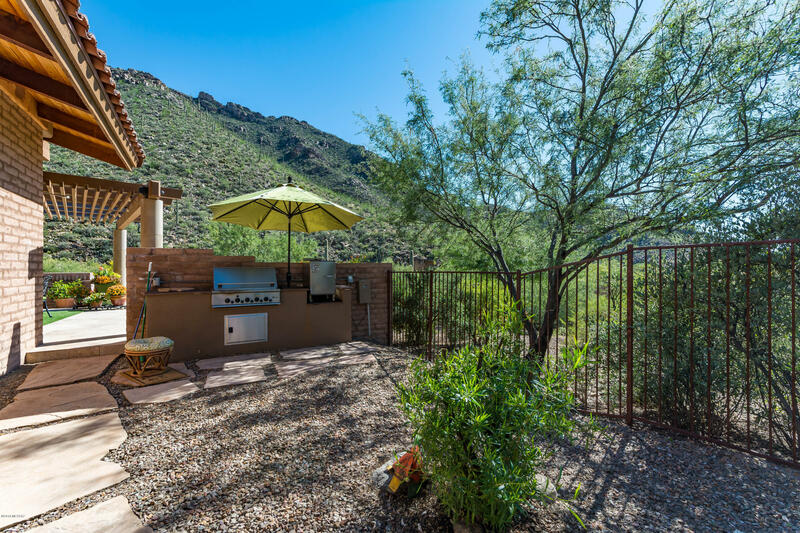 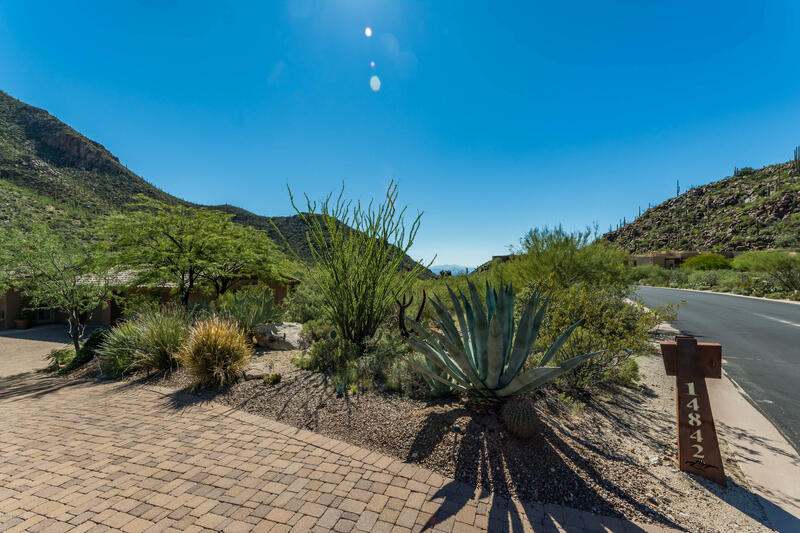 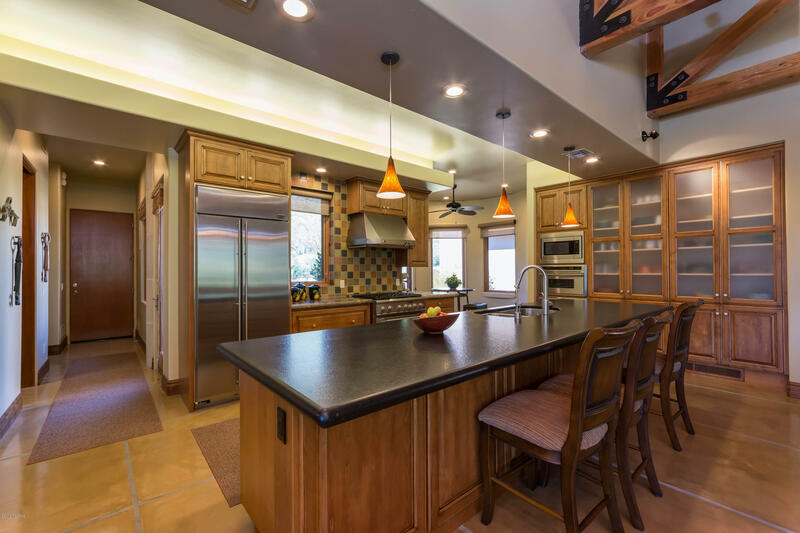 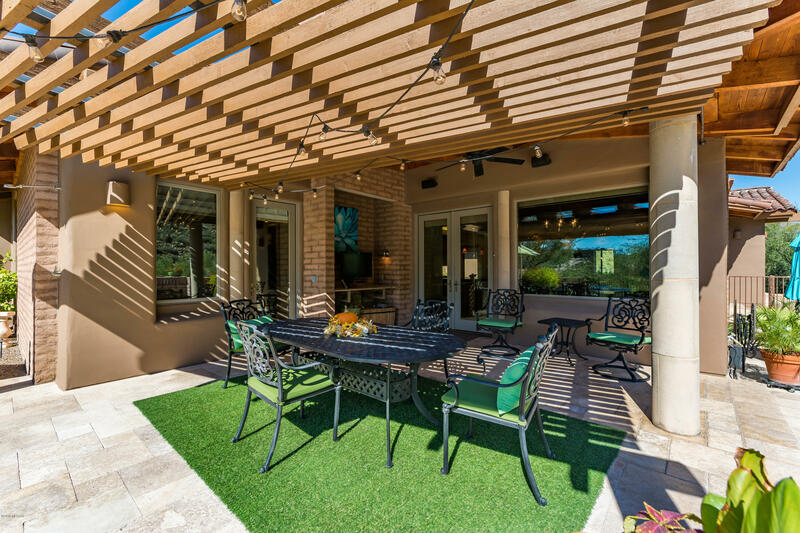 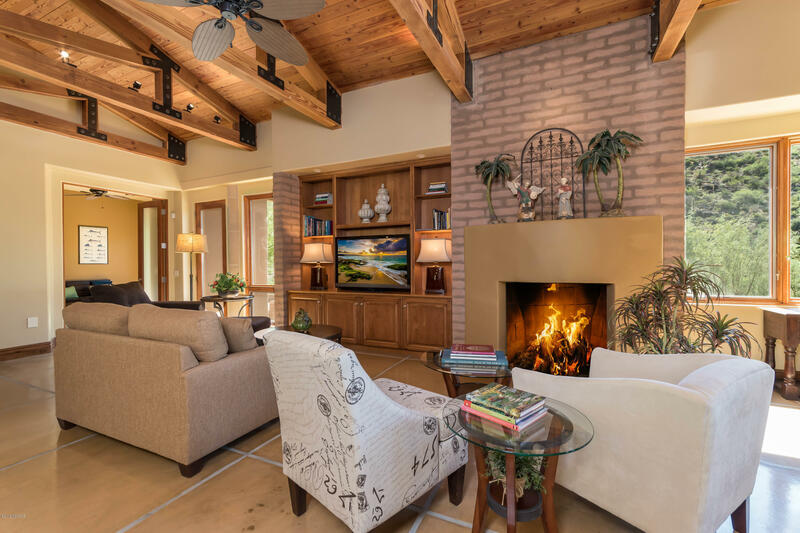 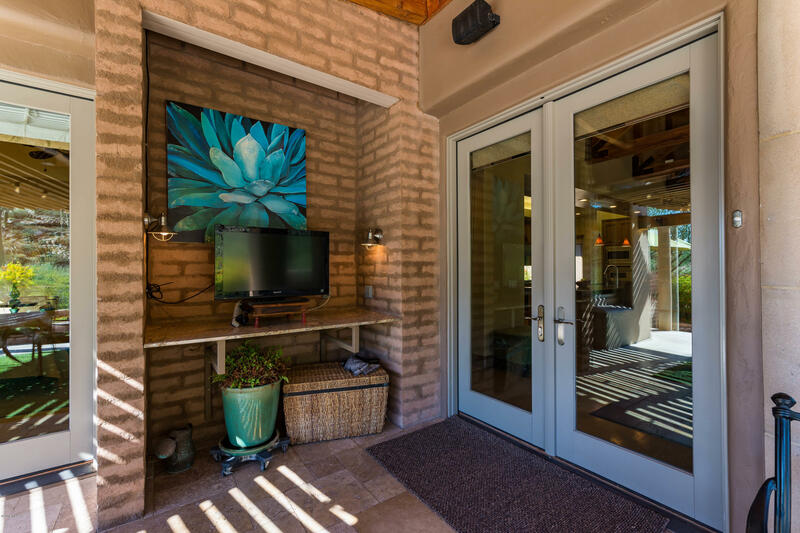 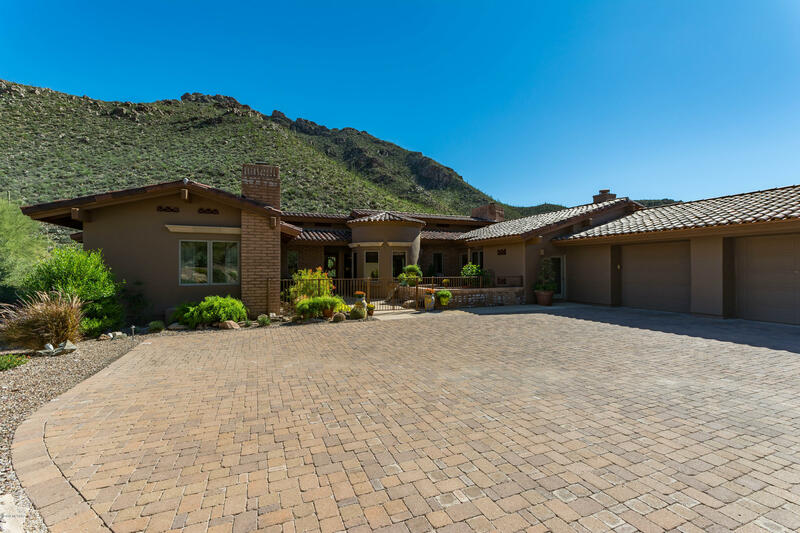 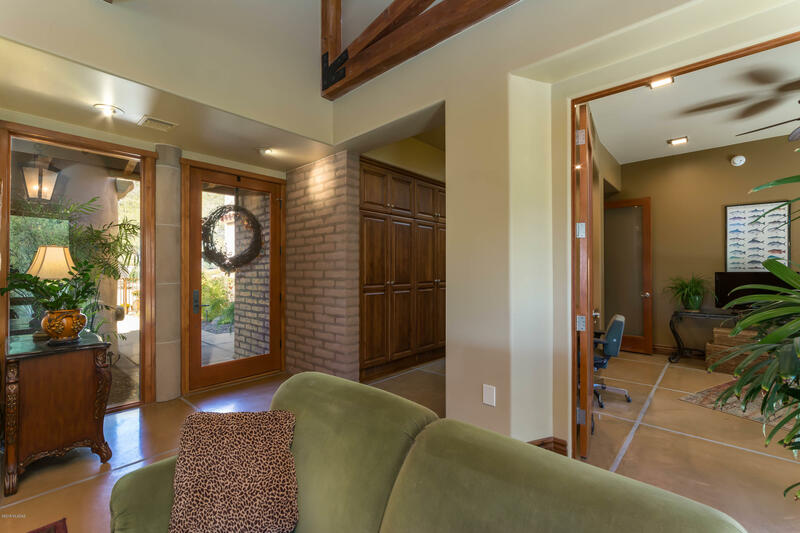 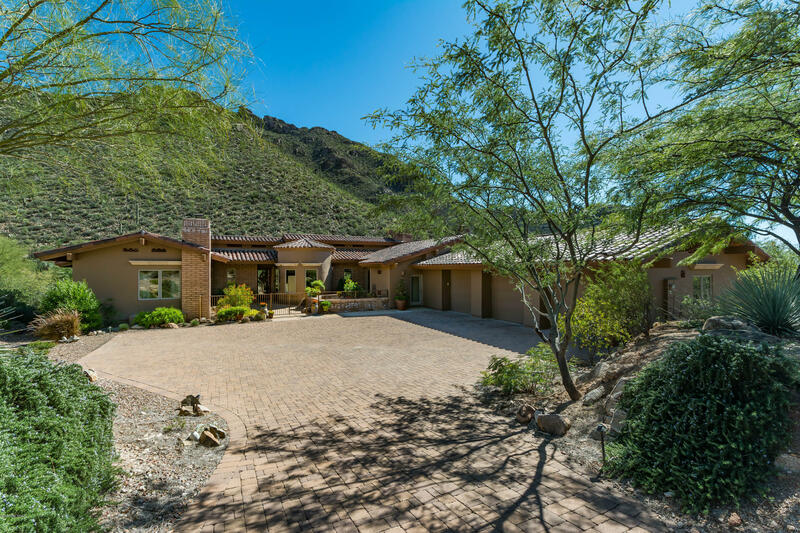 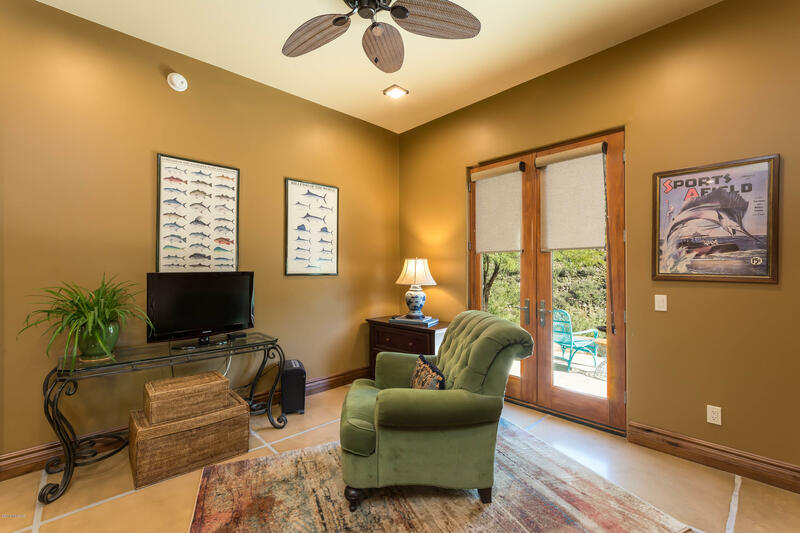 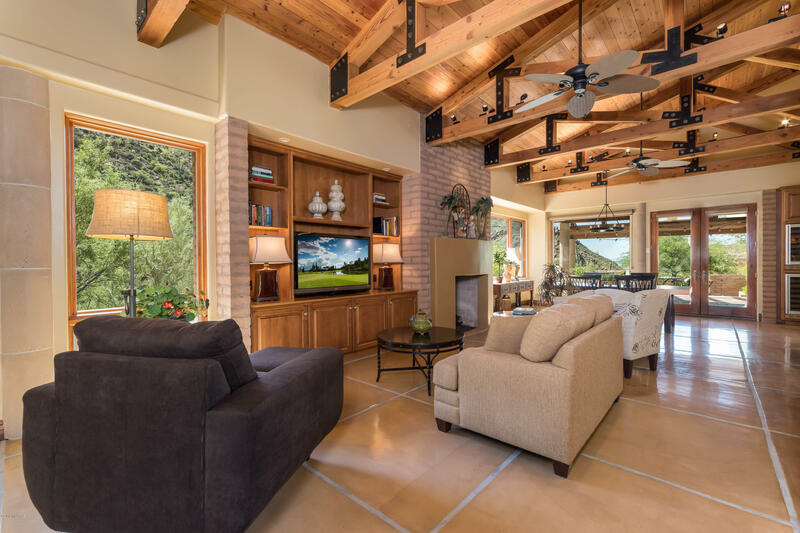 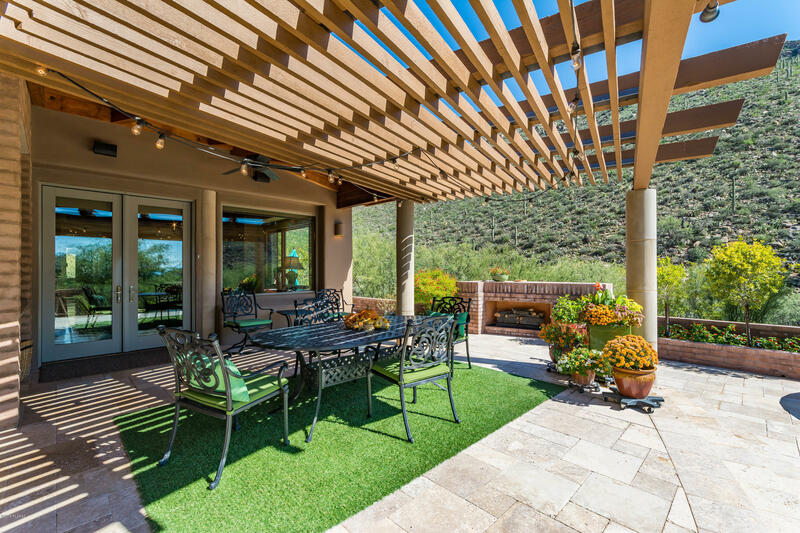 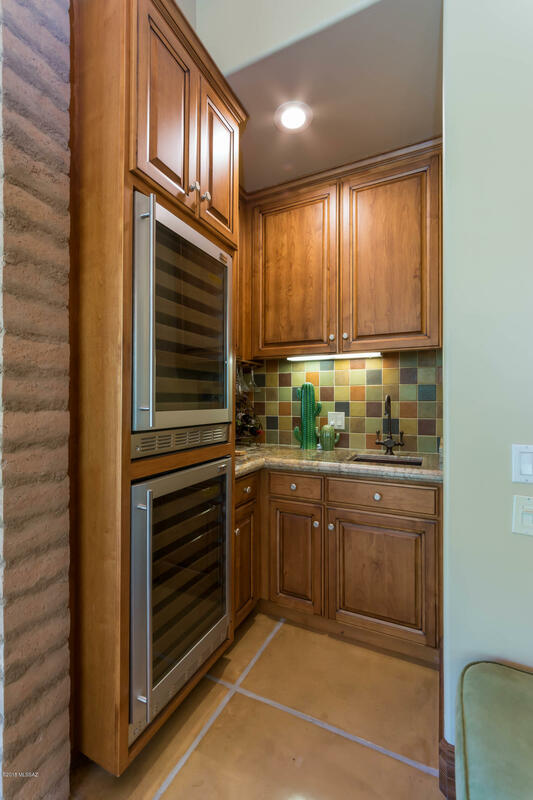 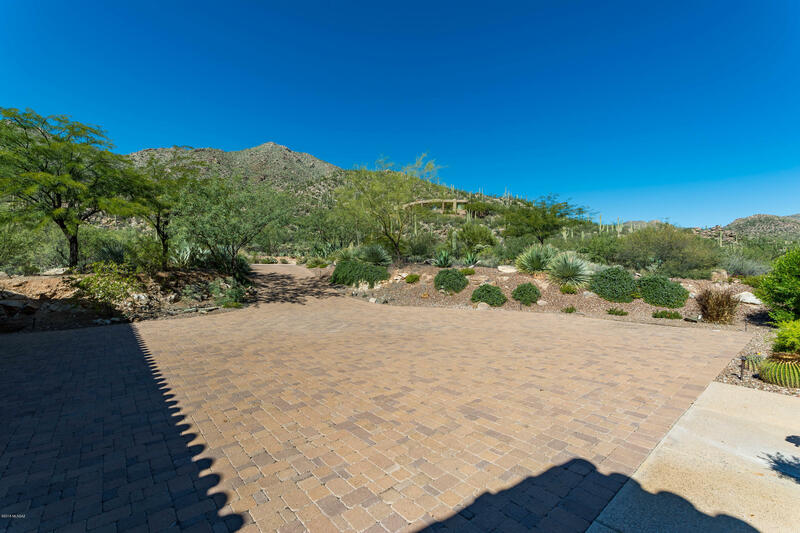 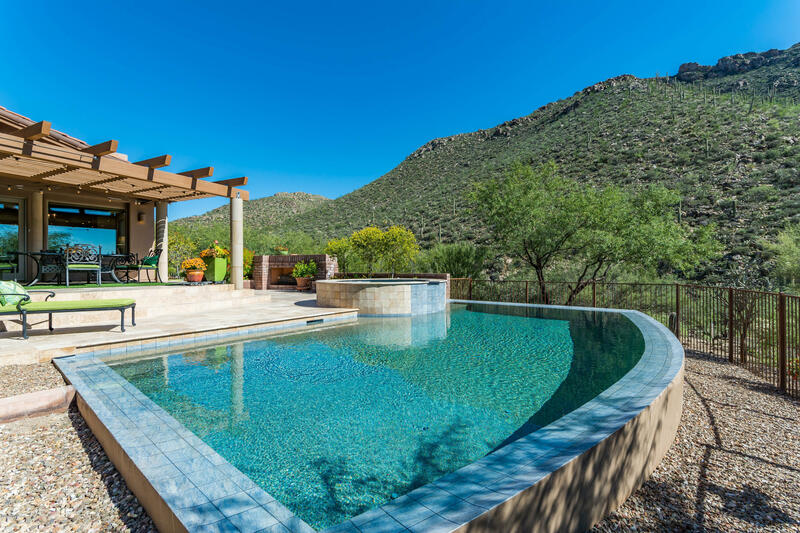 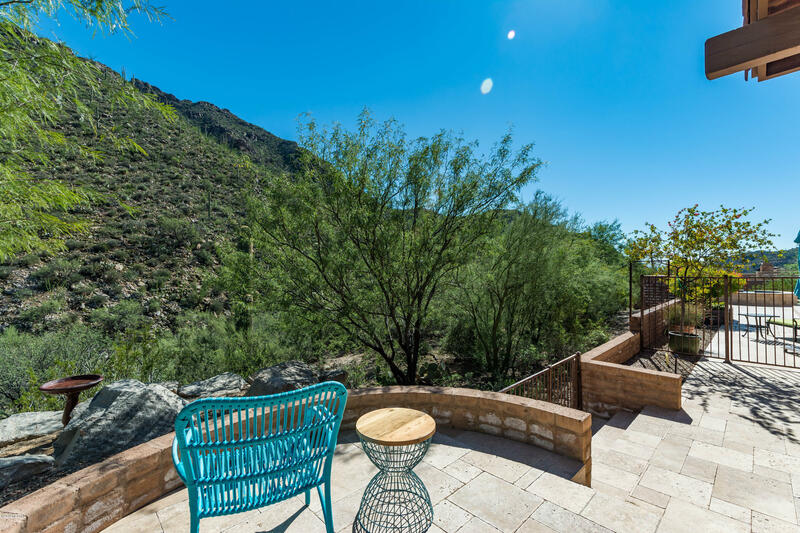 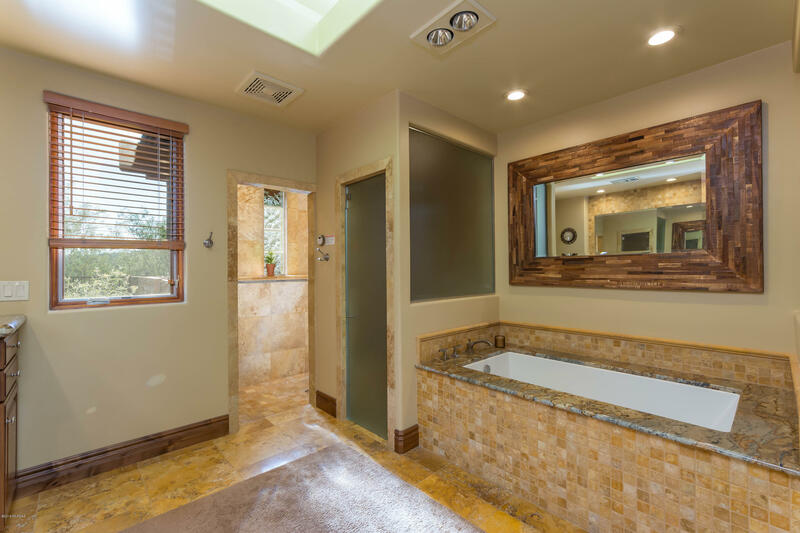 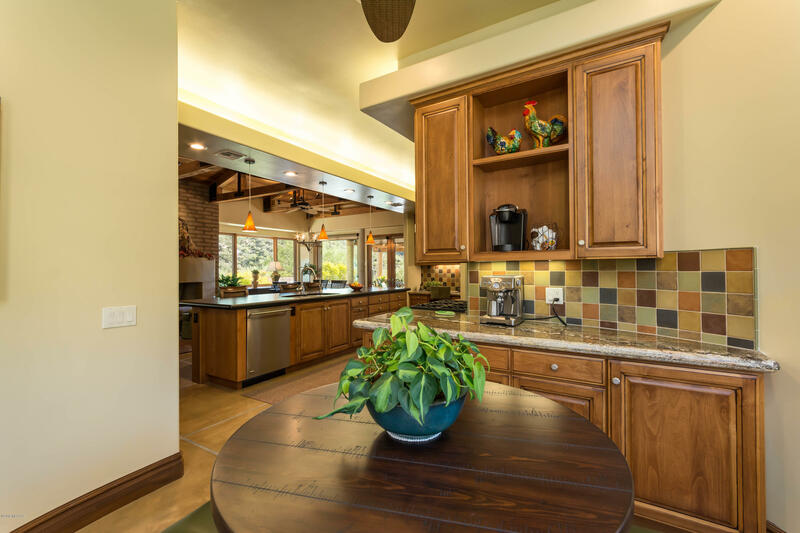 Mesmerizing saguaro studded mountain views from this elegant stunning custom home nestled on a very private lot in gorgeous Canyon Pass at Dove Mountain. 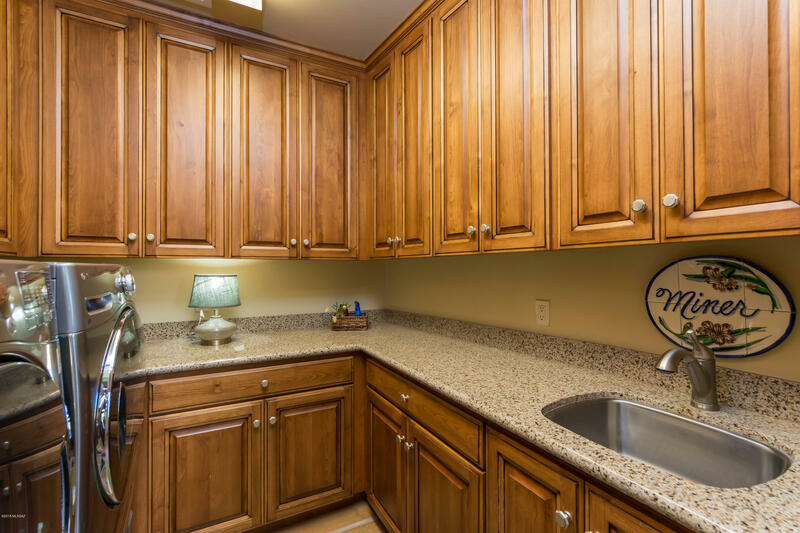 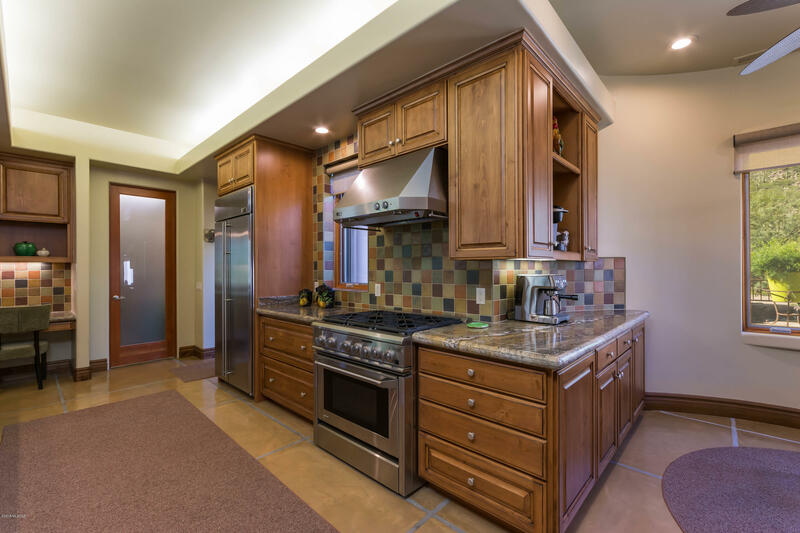 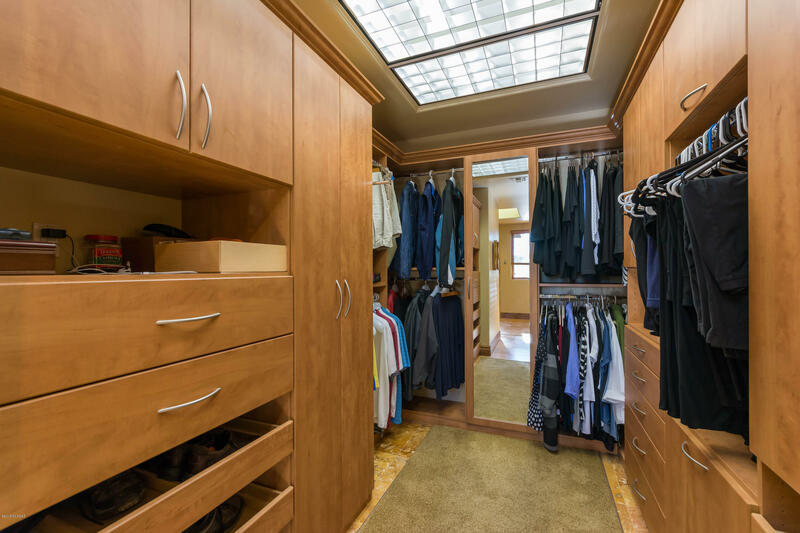 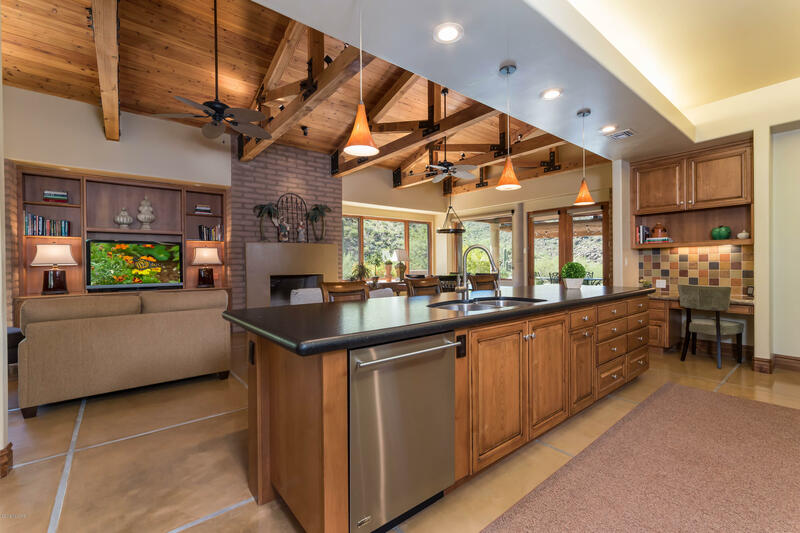 Exquisite fine features include rich wood beam ceilings, sprawling gourmet kitchen w/stainless steel appliances, elongated island, unique granite countertops, rich/gorgeous stained concrete floors, abundant custom workworking just to name a few. 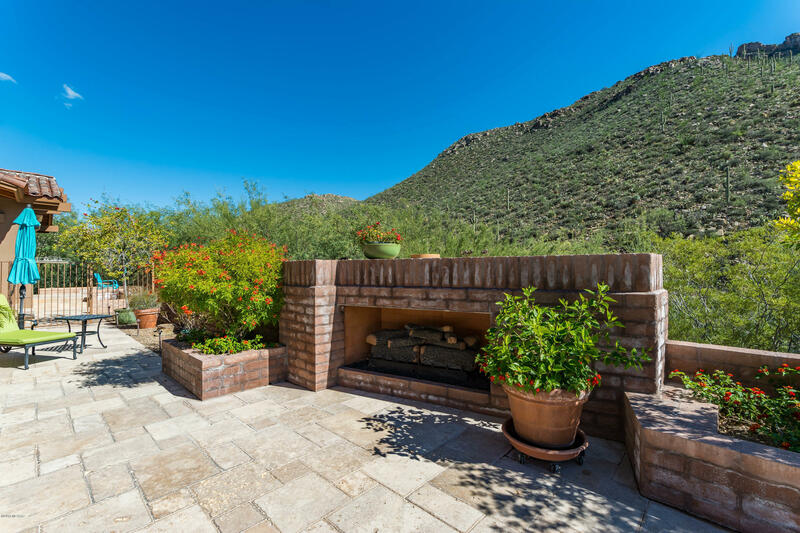 Remodeled pool & spa with expansive outdoor living areas including new fireplace w/raised planter box. 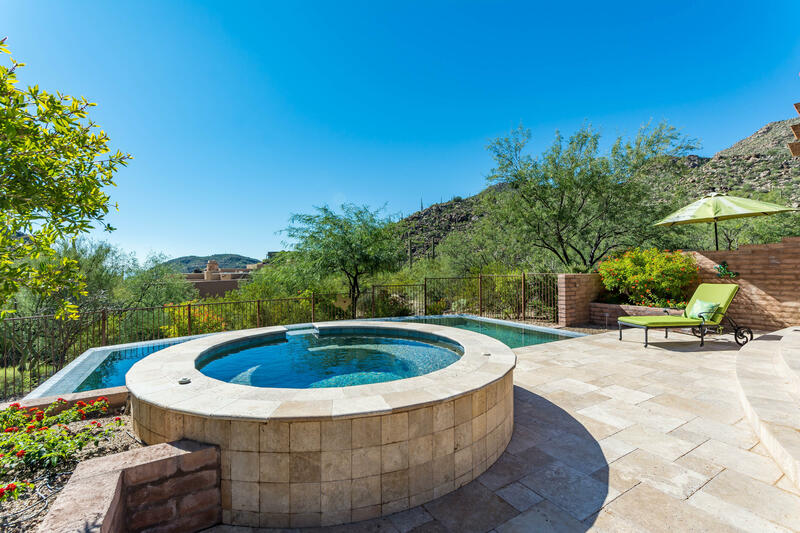 Pool upgrades include: new pool/spa heater, upgraded AquaLink controller system, new variable speed drive motor. 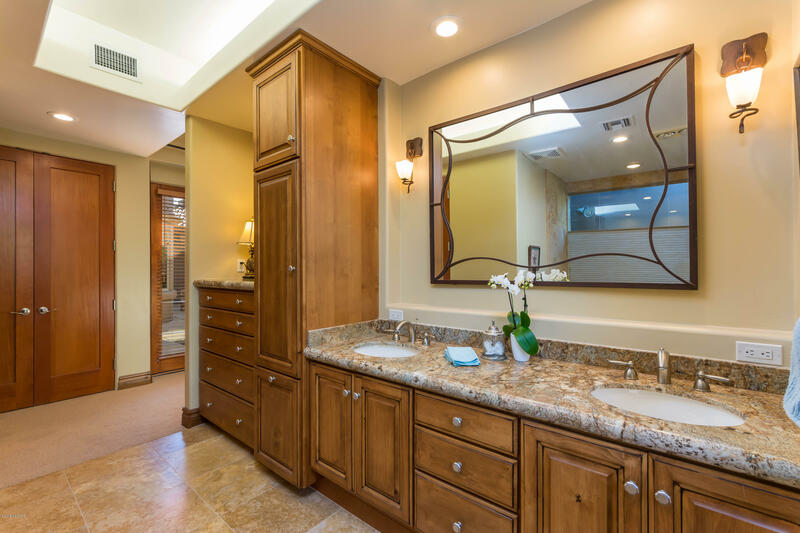 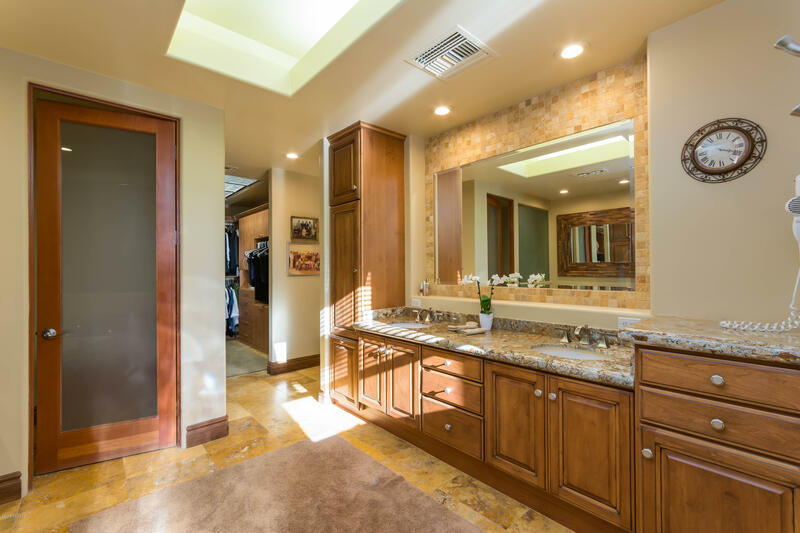 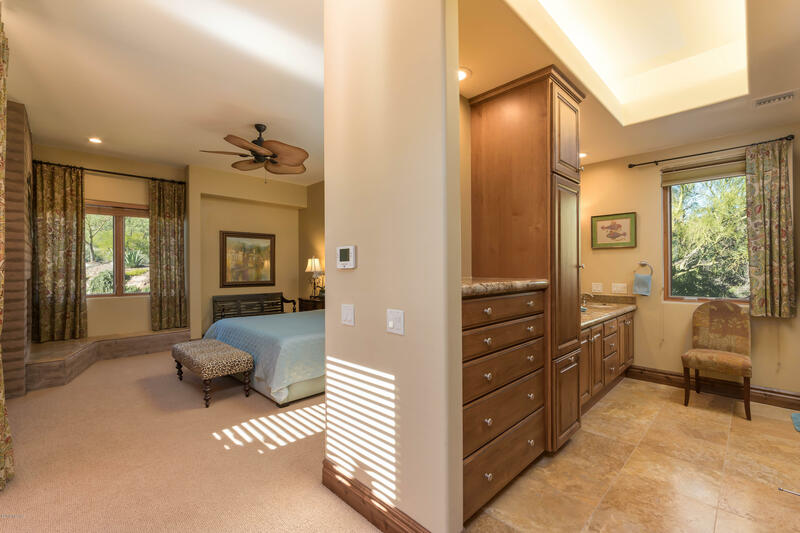 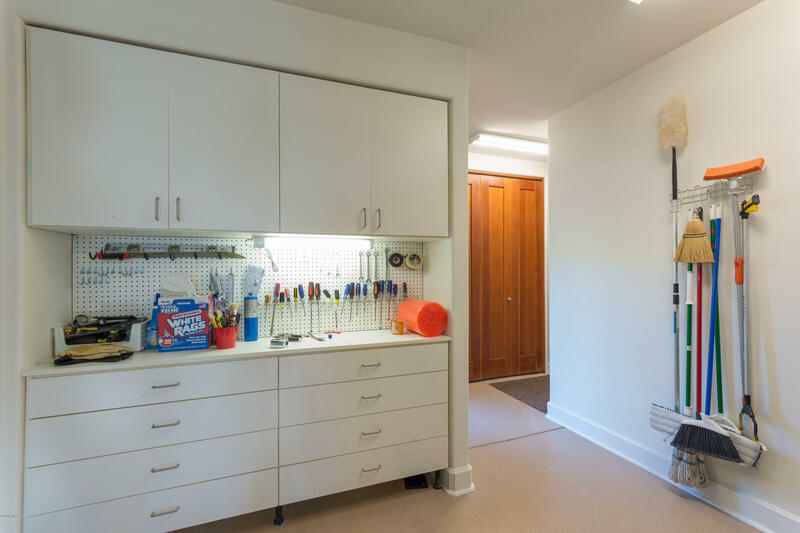 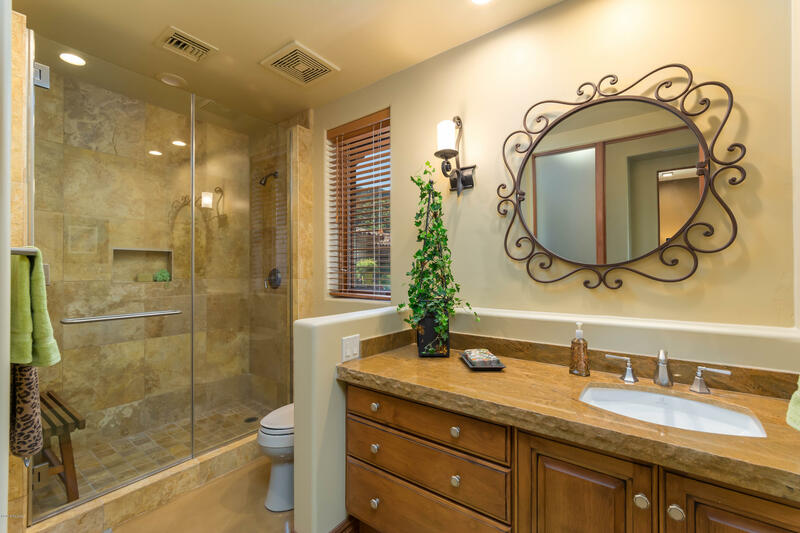 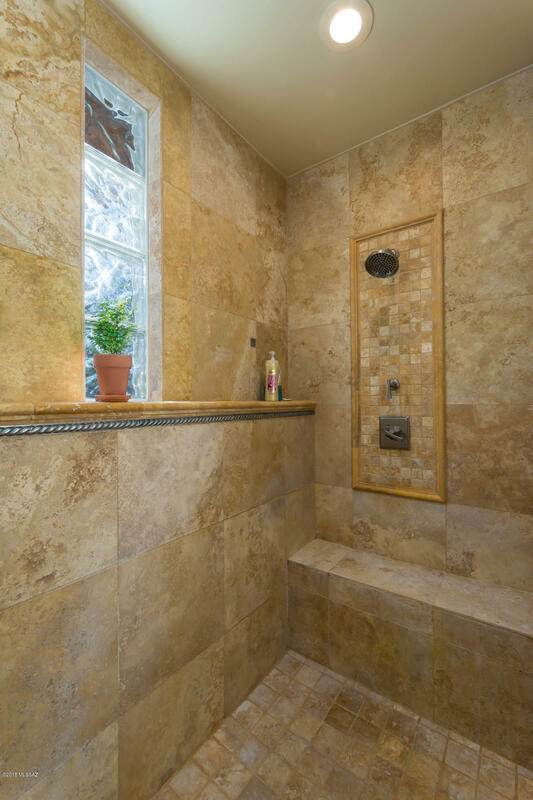 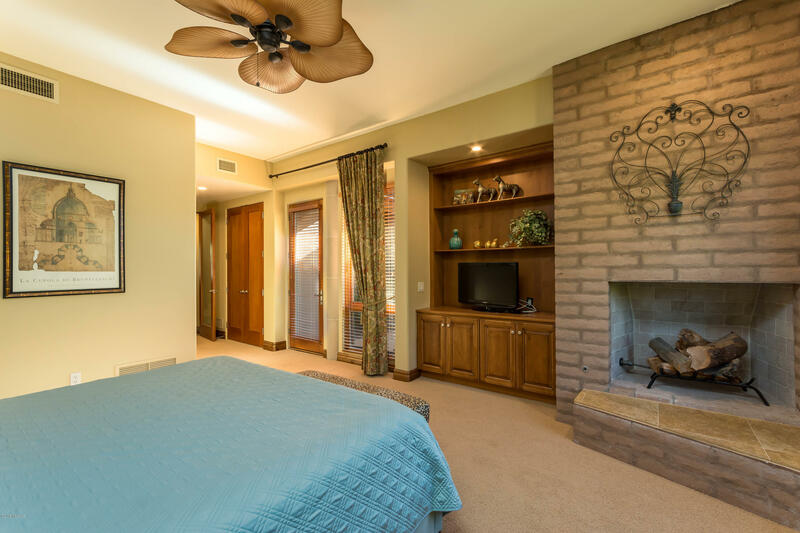 Remodeled master bedroom, master bath & half bath. 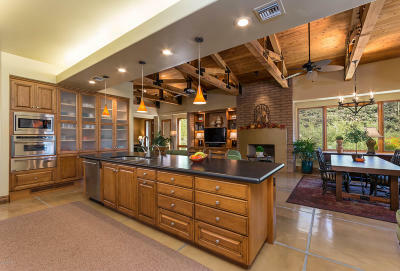 Expansive, oversized 3 car garage. 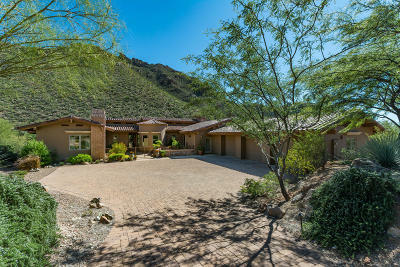 4 bedrooms or 3 bedrooms + office/den. 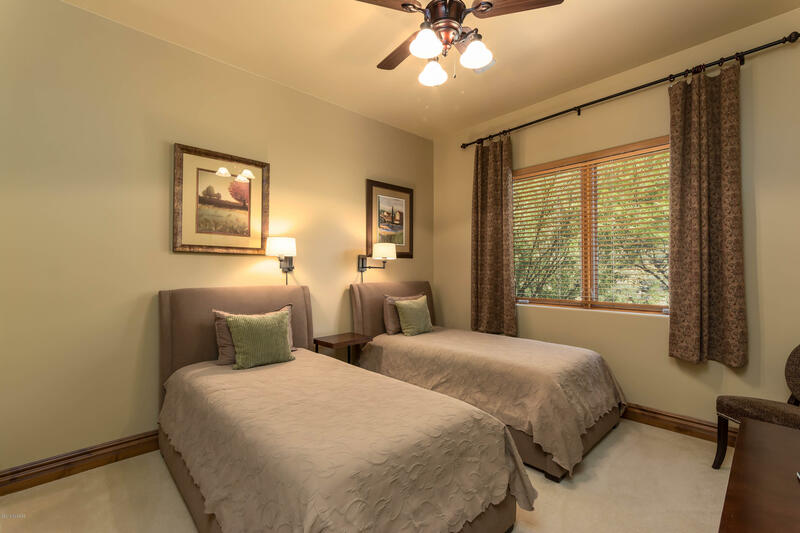 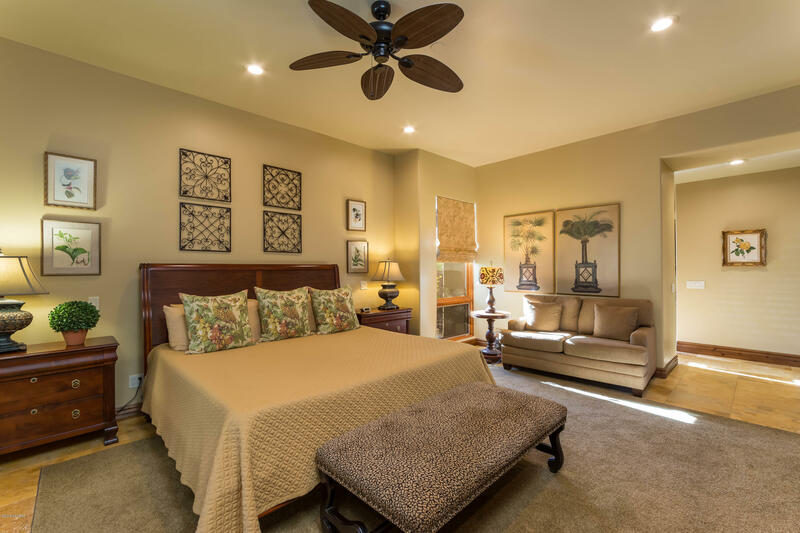 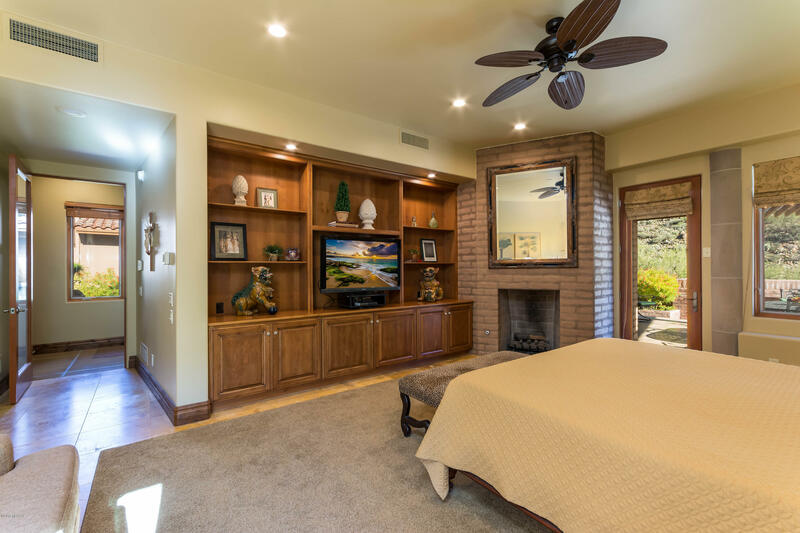 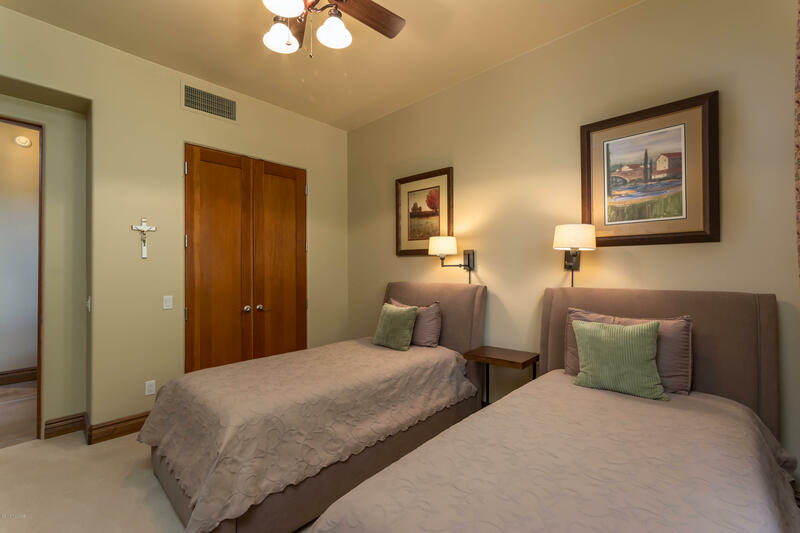 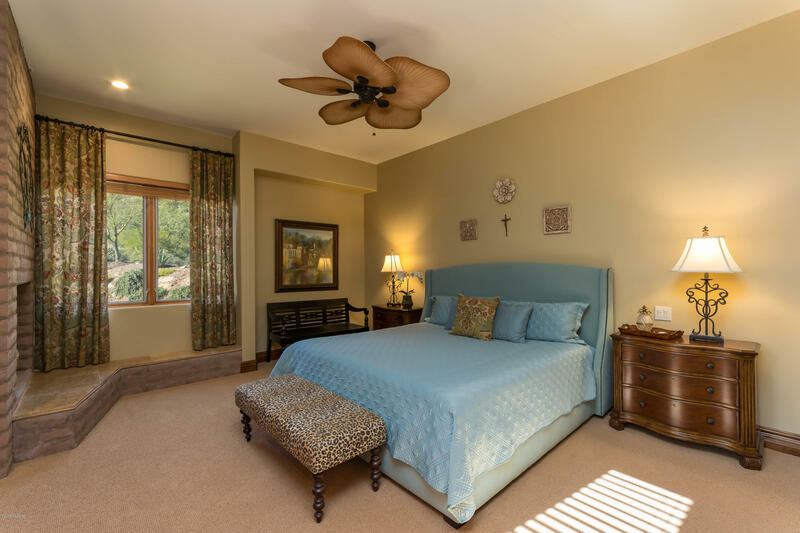 Dual master bedrooms - both w/fireplaces.